A man who arrived from Libya with a false passport was handed a suspended sentence this morning. Ahmed Al Ragoub Alkilani, 39, was arraigned before Magistrate Tonio Micallef Trigona. Police Inspector Frankie Sammut charged him with making a false declaration to a public authority and being in possession of a falsified immigration document. The accused, who lives in Tunis, was arrested yesterday at the airport. 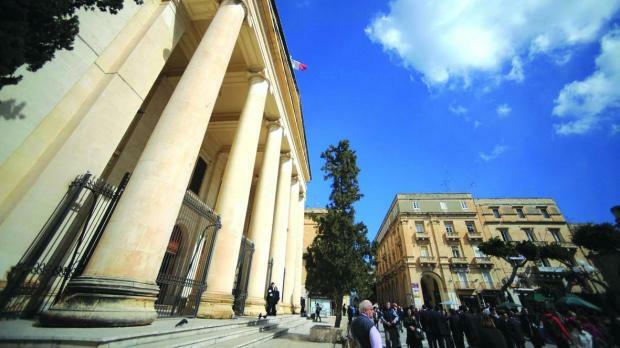 His lawyer, Arthur Azzopardi, asked the court to consider the situation in the country he hailed from, as he entered a guilty plea on behalf of the accused. The lawyer said that the accused had come to register a company in Malta but used false documentation. His CV, written by third party, says that he speaks good English, which the accused did not. The accused was handed a six month jail sentence, suspended for a year.